A gallant feast that’s sure to turn heads... 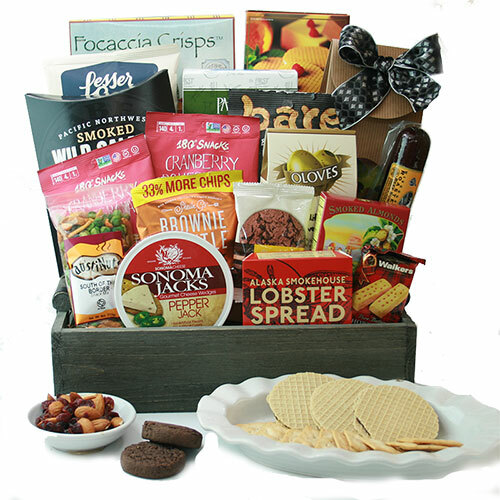 Even the most refined food aficionado will appreciate the plethora of divine gourmet foods this handsome gift has to offer. It’s the crème de la crème in gourmet baskets!